Please type your desired tags, e.g. Inorganic, Fibrosis, Cognition and Neuroscience, Critical Infrastructure, Materials Science and Engineering, Technical Writing, Consulting, 3d printing, Mental Health, Social Change, Romantic Relationships, Gender Equity, Public and School Libraries, Chinese Language, Identity and Selfhood, and etc. Association of American Geographers annual meeting: Milwaukee (70th), 1974; Salt Lake City (73rd) , 1977; New Orleans (74th), 1978; Philadelphia (75th), 1979; Louisville (invited for the Nystrom Competition; 76th), 1980; Los Angeles (77th), 1981; San Antonio (78th), 1982; Denver (79th), 1983; Washington, D. C. (80th), 1984; Minneapolis (82nd), 1986; Phoenix (84th), 1988; San Diego (88th), 1992; San Francisco (90th), 1994 (2); Chicago (91st), 1995; Ft. Worth (93rd), 1997; Boston (94th), 1998; Honolulu (95th), 1999 (2); Pittsburgh (96th), 2000; New York (97th), 2001; Los Angeles (98th), 2002 (2); New Orleans (99th), 2003; Philadelphia (100th), 2004; Denver (101st), 2005; Chicago (102nd), 2006; San Francisco (103rd), 2007 (2). IGU Mathematical Models Working Group: Madrid, Spain, 1986; Canberra, Australia, 1988; Princeton, NJ, 1992. 1988 Statistical Techniques in Geographical Analysis, 30: 348-349. 1993 Statistics for Spatial Data, 25: 271-275. 1986 Spatial Data Analysis by Example, 18: 372-373. 1979 Specification and Estimation Problems in Models of Spatial Dependence, 69: 497-498. 2004 The Geographical Dimensions of Terrorism, 94: 998-1001. 1993 Spatial Tessellations, 33: 564-567. 1993 Applications of the Expansion Method, 20B: 370-371. 1983 European Progress in Spatial Analysis, 15A: 135-136. 2004 Spatial Statistics Through Applications, 18: 207-208. 1989 Spatial Econometrics, 65: 160-162. 1988 Geographical Systems and Systems of Geography, 64: 396-400. 1987 Statistical Methods for Geographers, 39: 244-245. 1982 Spatial Statistics, 34: 231-232. 1980 Spatial Dynamics and Optimal Space-time Development, 32: 488-489. 1983 Spatial Processes, 7: 149-150. 1988 Spatial Cycles, 22 (#2): 119-120. 1983 Spatial Diffusion, 17 (#1): 125-126. 1981 Spatial Systems, 15 (#3): 118-119. 1979 Resources, Tariffs, and Trade: Ontario's State, 13 (#2): 159-161. 1978 Quantitative and Analytical Studies in East-West Economic Relations, 12 (2): 128-130. 1980 Statistical Concepts in Geography, 79: 273. 1993 RESAMPLE, 11 (3): 39-40. 1978 Ontario Division of the Canadian Association of Geographers, Ryerson Polytechnical U. The editorship of the top journal in spatial analysis and modeling, Geographical Analysis, is moving to UT Dallas. Beginning July 1, Dr. Daniel Griffith will serve a three-year term as the journal’s editor. 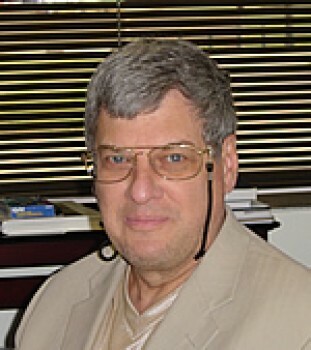 Griffith is an Ashbel Smith Professor of Geospatial Information Sciences in the School of Economic, Political and Policy Sciences. He will be the first editor in 18 years who is not based at Ohio State University. 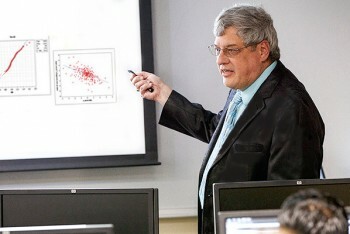 Griffith was chosen because of his reputation in the area of geospatial analysis, and his appointment is a reflection of the growing strength of UT Dallas’ Geospatial Information Sciences program. UT Dallas GIS Professor Michael Tiefelsdorf will be one of the 32 international scholars on the journal’s editorial board. New clinical assistant GIS professor Yongwan Chun will be Griffith’s editorial assistant. The American Association for the Advancement of Science (AAAS) has elected Dr. Daniel Griffith, a UT Dallas professor of geospatial information sciences, as a Fellow. 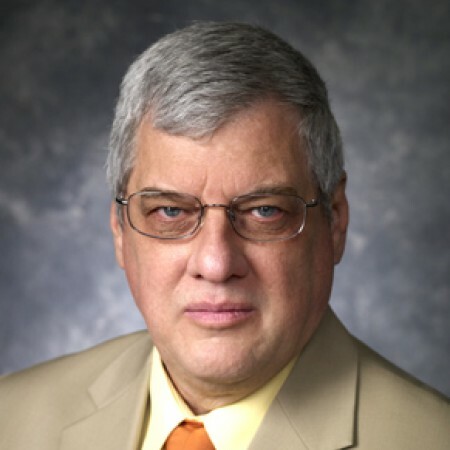 Dr. Daniel Griffith is being honored in part for his contribution to spatial statistics and quantitative geography. 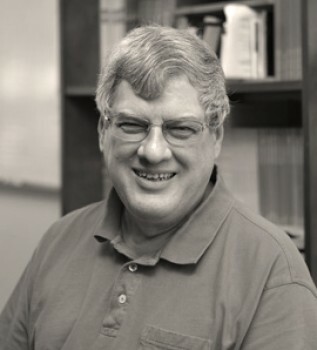 Griffith is being honored for his contributions to spatial statistics and quantitative geography, particularly for his work on spatial autocorrelation, spatial filtering and statistical errors, according to the organization. He was named a Fellow in the geology and geography section. Griffith, an Ashbel Smith Professor in the School of Economic, Political and Policy Sciences (EPPS), said he was pleasantly surprised. This award is across all the sciences, he said. I think its something that is really pleasing because its not subject specific. Its really nice to be recognized outside your discipline as well as within in it. The American Association for the Advancement of Science is an international non-profit organization devoted to advancing science around the world by serving as an educator, leader, spokesperson and professional association. The group also publishes the journal Science. The geospatial information sciences(GIS) program in the School of Economic, Political and Policy Sciences (EPPS) has been named a Center for Academic Excellence as part of a new federal initiative to prepare future workers for fields such as homeland and global security and disaster management. UT Dallas is the only institution in Texas and one of only 17 centers nationwide to be named as a center of excellence by the National Geospatial-Intelligence Agency and U.S. Geologic Survey.